It's Bake-Along No. 88! 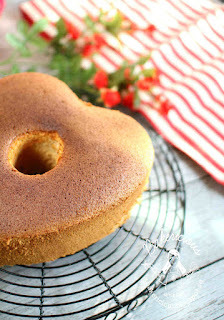 I've selected the theme "Galette" to bake together with my baking buddies, Lena and Zoe. A galette is a rustic-style tart, is pretty much similar to a tart or pie, the difference is, it is made with a free form pastry dough which is rolled out, filled the centre with the filling of your choice and just wrap them up by folding over the pastry all around the sides, leaving the filling visible in the centre. No special tart pan or mould is needed. You just need a baking sheet. There's no need to be so perfect in shaping them, after all, it is a free-form rustic tart. I made a savoury galette, one that I have been thinking of making for ages, from this fabulous book "The Art & Soul of Baking" by Cindy Mushet, from Sur La Table. This galette has all my favourite ingredients; cheese, potatoes and caramelized onions. With the flaky, buttery, tender-crisp tart pastry dough, a slice is just perfect either for lunch or even dinner. I had it for tea, along with a cup of warm tea, makes a delicious afternoon tea-time treat indeed. Advance Preparation: Roll the prepared dough into a 13-inch round, transfer to a parchment- or silicone-lined baking sheet, and chill for 1 hour. Preheat oven to 400°F and position an oven rack in the lower third. Make the filling: Heat the sauté pan over a medium-high flame. Add the olive oil and when it is hot, add the onion slices to the pan. Cook, stirring occasionally, until the onion is soft and lightly colored, 8 to 10 minutes. Stir in the salt, pepper, and chopped thyme or rosemary and blend well. 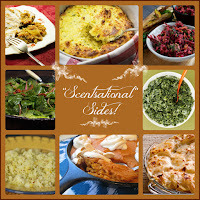 Scrape onto a plate and set aside to cool. Wash the potatoes and pat dry, but don’t peel them. Cut into 1/4-inch-thick slices. Assemble the galette: Mix together the cooled onion mixture, grated cheese, and potato slices. Spread the mixture over the prepared pie dough, leaving a 1 1/2-inch border around the edges. Drizzle with the remaining olive oil and sprinkle lightly with salt and pepper. Fold just the border of the dough up around the filling, pleating it to make a pretty, circular enclosure, leaving the center open. In a small bowl, beat the egg with a fork. Lightly brush the pleated dough with the egg to give it shine and help it brown in the oven. Bake the galette for 45 to 50 minutes, or until the pastry is golden brown and the potatoes are soft when tested with a paring knife or skewer. Check the bottom of the galette for doneness by lifting slightly with a metal spatula. Transfer to a rack to cool for 5 to 10 minutes. Transfer the galette to a serving plate with a cake lifter or two spatulas, or the bottom of a tart pan slipped underneath to keep it from breaking as you move it. 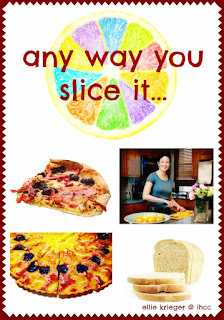 Slice and serve warm. Place the butter pieces in a bowl or on a plate and freeze for at least 20 minutes. Refrigerate the water in a small measuring cup until needed. Roll the dough: If the dough has been refrigerated for more than 30 minutes, it may be very firm and hard and will crack if you try to roll it. Let it sit on the counter for 10 to 15 minutes until it is malleable but still cold. Dust your work surface generously with flour and set the disk on the flour. Dust the top with flour. Roll, turning the dough and following the directions on page 171, until you’ve got a 14- to 15-inch circle about ¹⁄8 inch thick. If at any point the dough becomes warm and sticky, gently fold it into quarters, unfold it onto a baking sheet and refrigerate for 15 minutes, or until the butter is firm again. 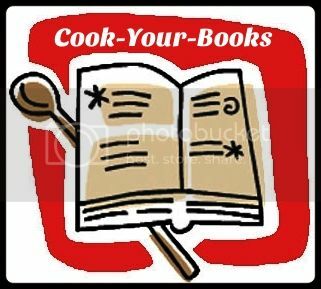 If a crack or hole forms while rolling, brush any flour away and patch the area according to the instructions on page 171. Trim the dough: Use a pair of kitchen scissors to trim the dough so it overhangs the edge of the pan by 1 inch. Fold the overhanging dough under itself around the pan edge, then crimp or form a decorative border (page 174). Chill for 30 minutes before baking. For our next Bake-Along, we will be baking based on "Theme : Christmas Yeasted Bread". You may bake any yeasted bread recipe which is calling out Christmas! 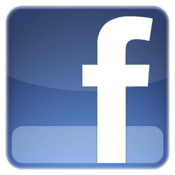 Link your post to our linky which will open from 3rd to 24th December. Everyone is welcome to join us! Only current posts please. 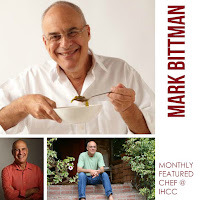 "Monthly Featured Chef Event : Mark Bittman", the theme for this week at I Heart Cooking Clubs (IHCC). I've made Mark Bittman's Broad Rice Noodles with Chiles, Pork and Basil for our afternoon lunch, and it was very tasty. I have added fresh crunchy bean sprouts to the noodle dish, as I do like some kind of vegetables in my stir-fry noodles, and bean sprouts are always great in a stir-fry noodle dish. However, do not overcook the bean sprouts, you would want them to be cook but still crunchy. I've used crushed red pepper flakes instead of small dried hot red chillies, and have omitted the sugar. And I've added a few drops of black soy sauce. Recipe uses dried broad rice noodles which needed to be pre-soaked in warm water before draining off and used for cooking. I have however, used fresh broad rice noodles from the market, so there's no need to pre-soak them before cooking. Fresh broad rice noodles is a common ingredient over here, and can be found in any morning wet market or even from any supermarkets. Thai Basil plant from my garden pot. I've used Thai basil leaves from my garden pot. The plant is setting out flowers and I have to trim down the plant so that they would continue to grow lush green leaves instead of more flowers . Found this noodle recipe from Mark Bittman that uses Thai basil leaves, just perfect for a weekday lunch. A simple, stir-fry noodle dish that makes a good meal anytime of the day. Very tasty! With homegrown basil leaves, even better! As with stir-fry dishes, this is quick, simple and easy to cook. For added spiciness, I've added more crushed red pepper flakes on my plate! Soak the noodles in warm water to cover until soft; this will take from 15 to 30 minutes. You can change the water once or twice to hasten the process slightly, or you can simply cook the noodles as you would any other, taking care not to overcook. Drain thoroughly, then toss with half of the oil. Heat the remaining oil over medium-high heat in a wok or large, deep non-stick skillet for a minute or so, until the first wisp of smoke appears. Add the garlic and chiles and cook, stirring, for a minute. Add the meat and turn the heat to medium. Cook, stirring and mashing with a wooden spoon to break up clumps. 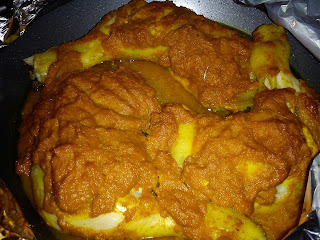 When almost all traces of red or pink disappear, add the soy and/or fish sauces and sugar; stir to mix. Add the drained noodles (black soy sauce and bean sprouts if using) and toss and stir to combine. Add the vinegar and most of the basil. Stir and taste; add salt if necessary. Serve, garnished with the remaining basil and passing the crushed pepper on the side. This week's bake at Tuesdays With Dorie (TWD), is Chocolate-Covered Toffee Breakups, an addictive snack to munch on, one that you would go back for more until there's none left. Seeing how addictive this is going to be, I've made only half a recipe! The base is a caramel toffee, made by melting the butter, then cook with sugar, corn syrup, and water until it reaches 300 degrees F, or until caramel coloured and bubbling. A candy thermometer would come in handy, and I'm so glad I bought one almost a year ago. Chopped toasted almonds are added to the toffee and the mixture is then poured over a greased parchment paper placed on a tray, spreading the toffee caramel out evenly. Leave to set for about 20 minutes, then it is turned onto a large cutting board (I've used the reverse side of a large baking tray), lined with parchment paper. Peel the parchment paper from the top of the caramel and allow to cool completely. Use a paper towel to dab any moisture on the toffee before coating with the melted chocolate. Chocolate are melted and spread onto one side of the caramel base, scatter some chopped toasted almonds, pressing them down gently. At this point, I've refrigerated them still on the tray for about 30 minutes, then turned the caramel onto another tray lined with parchment paper, with the chocolate coated side facing down. Spread the remaining melted chocolate onto the caramel toffee. I did not scatter any almonds on this side, leaving it bare with only the chocolate coating. I left the tray in the refrigerator overnight for the chocolate to set. Break or cut into pieces before eating. However, they need to be stored in a covered container in the refrigerator, as the chocolate melts even after a few minutes after I've taken them out. These are good! 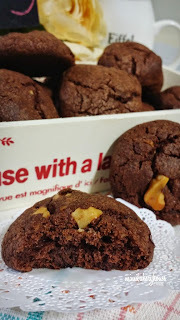 At first bite, there's a light crunch, then both the toffee and chocolate start to melt in the mouth, followed by the crunch of the almonds. 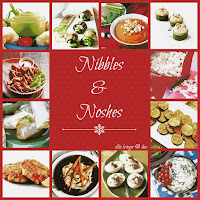 An addictive snack to munch on! This post is linked to Tuesdays With Dorie (TWD). 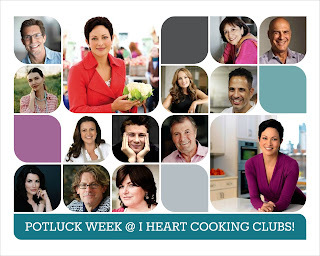 "Anyway You Slice It", the theme for this week at I Heart Cooking Clubs (IHCC), where we are currently cooking from Ellie Krieger's recipes. I have some arugula rocket growing in my container garden, and it's time to harvest the lovely leaves! Looking through Ellie Krieger's cookbook "The Food You Crave", found a perfect way of using up that greens with a healthy version of simplified pizza, using whole-wheat tortillas. Arugula rocket leaves, fresh from my container garden. Simple and quick! Thinly sliced onions are first sauteed with a little olive oil until brown and caramelized, then the roughly chopped arugula leaves are mixed in, stir for a minute until wilted, season with salt and pepper to taste. Place them on the tortilla sheet. Recipe uses Goat's Cheese, an ingredient which is next to impossible to find in the area where I live. So I have used mozzarella cheese instead as that was what I had. Baked in the oven for 10 minutes until the tortilla are brown at the edges and the cheese has melted. Slice into quarters and serve. This is simple and good! The caramelized onions are just so good, one of my favourites. The arugula leaves are peppery with a slight bitterness to it, which I find really nice. But my kids find the arugula a little too bitter for their taste, and asked that the next time use spinach instead. OK, spinach for them, and arugula for me. I really enjoyed the peppery and slight bitterness of the arugula. I would make this again, I really like it! Yums! Heat the oil in a large nonstick skillet over medium heat. Add the onion and cook, stirring, until golden and the edges are browned, 10 to 12 minutes. Add the arugula and cook until it is wilted, about 1 minute. Season with salt and pepper.